The unnamed undercover officer claimed that Hammond was trying to run him over, so he fired two shots into the car, killing the teenager. Eric Bland, an attorney for the Hammond family, claims the undercover officer is lying. He says a private autopsy, conducted Thursday, showed Hammond was shot from behind and that his car was not moving. The official autopsy, performed by Oconee County Coroner Karl Addis, noted that Hammond was shot twice, but omitted the direction from which the shots came. As previously reported by CopBlock, and now confirmed by the chief’s unwillingness to name the undercover officer, the official story doesn’t add up. Bland also said the autopsy indicated that the first shot went into Hammond’s left rear shoulder, throwing him forward in the car, and the second one went at a downward angle into his side from the rear, through his heart and lungs and exiting out his lower right side. The entry wounds were five inches apart. The shots were so close in proximity to each other that it would be physically impossible unless the car was stopped and the officer came up very close to an open window, Bland said. This drawing represents the scenario presented by the private autopsy reports that concluded Hammond was shot from behind. The only plausible scenario was that the officer was behind Hammond when he fired – as depicted by the ‘Range of Shot Possibility’. Thus, the officer was in not in danger of being ‘ran over’, as the Chief has claimed. If the undercover officer was in fear of being run over, how did he manage to shoot the teenager through the driver’s side window with a bullet grouping of only 5 inches? Now faced with the private autopsy’s findings that proved Hammond was shot from behind, how can the officer claim he was in ‘fear for his life’? With all the remaining questions and inconsistencies, it’s no wonder that the chief is refusing to name the officer who murdered 19 year-old Zachary Hammond. We are currently working on the identification of the officer. So far, the chief has only said that the officer has worked for the Seneca Police Department for at least five years, and has worked elsewhere in law enforcement prior to working for Seneca PD. This story will be updated once the identity of the officer is confirmed. 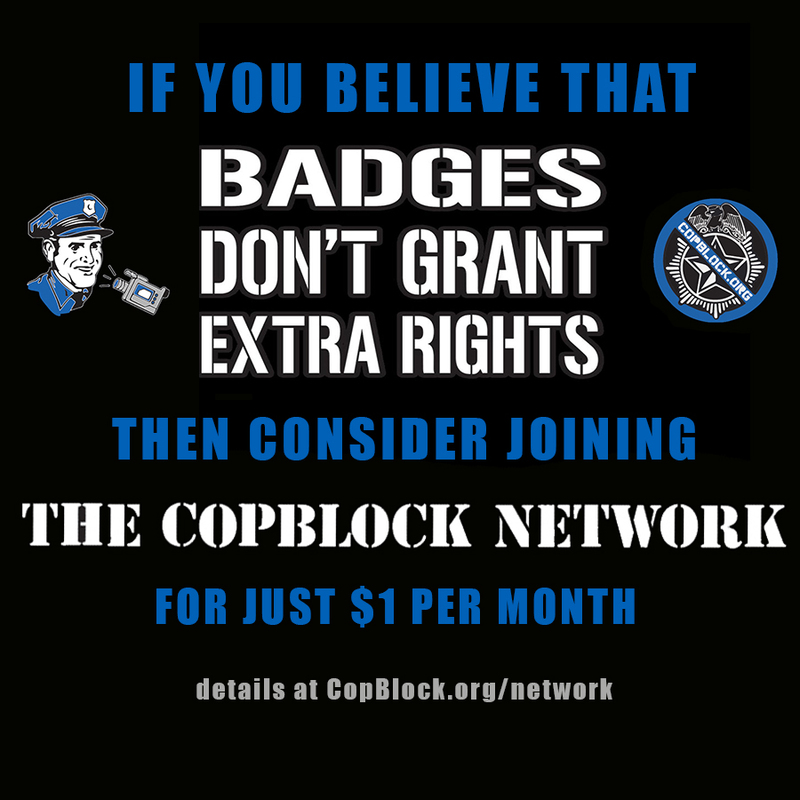 If you believe that Badges Don’t Grant Extra Rights and that police should be held accountable for their actions publicly, then please consider donating to the CopBlock Network. All donations go to further spread the message that “Badges Don’t Grant Extra Rights.” To donate today, click on the image to the right. Thank you for your support. If you enjoyed this article, please check out more of the author’s other work.